State College, PA :: News :: Ezines :: Centre County Gazette :: General Election Is Nov.
MSTATE COLLEGE — Centre County voters will be selecting a new district magistrate to handle duties at Magisterial District Court 49-02-01. The office has been vacant since Leslie Dutchcot resigned in November 2015. It is located at 1524 W. College Ave. and serves College Township voting districts north and west and the townships of Ferguson, Halfmoon and Patton. The candidates who made it through the May primary elections include former State College police officer Dave White and current county public defender Casey McClain, both of whom have cross-filed. McClain graduated from Penn State in 1999 and Pittsburgh Law in 2002. For 14 years, he has been a trial lawyer in the public defender’s office. 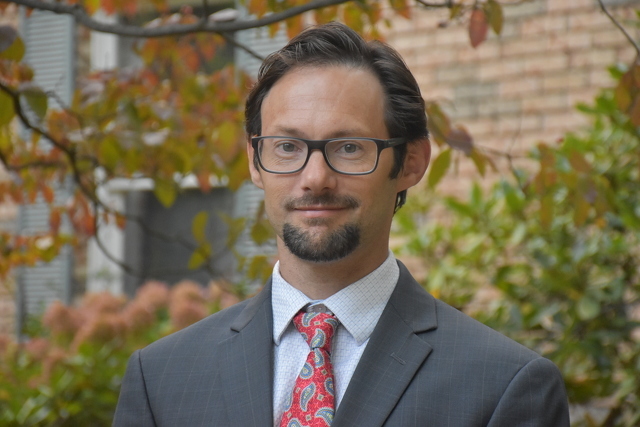 He helped create the Indigent Criminal Justice Practicum at PSU Law and has been an adjunct professor at the law school with this practicum the past four years. He also serves as a guest judge with the law school. He is a Leadership Centre County graduate and serves on the Criminal Justice Advisory Board. His wife, Lucy, is a program director at Shaver’s Creek Environmental Center. They live with their son in Park Forest. Centre County Gazette: Why do you feel you are the best candidate for the position of district magistrate? McClain: In a court of law, the district judge first and foremost makes legal decisions. The judicial code of conduct requires judges to interpret and apply the law and Constitution in a fair and impartial manner. All the while, they are earning the trust of the public and ensuring confidence in the judicial process. I offer to the citizens of our local district 16 years of legal service, 14 of which were as a trial lawyer in the Centre County Public Defender office. I have given legal advice to thousands of clients during my career, and I have been in court on a daily basis during the course of my career, ranging from district court up to the Superior Court. Twenty jury trials and countless bench trials have honed my legal skills, my attention to detail, my seasoned knowledge of rules of evidence and procedure and an understanding of the subtle art of negotiation. As an adjunct professor at the law school, I train and mentor law students on how to be lawyers by demonstrating the techniques of trial advocacy. Additionally, I have been recognized by my colleagues for representing and upholding the highest ideals of civility and professionalism within the local legal community. In short, I offer both a distinguished legal career and a reputation built on honesty, level-headedness and earned respect within the legal field. These are the best qualities our community deserves. CCG: How do you plan to employ the unique skill sets required in a position with both criminal and civil interests? McClain: As a judge, presiding over both criminal and civil cases requires a strong background in rules of evidence and procedure, the ability to interpret and research law, understanding burdens of proof and carefully balancing between accountability and leniency. Civil law usually encompasses a breach of contract, be it a failure to complete a job or a landlord/tenant dispute. During my life, I have been both a tenant and a landlord and I have written many contracts and leases. My career as a trial lawyer has prepared me to be a strong negotiator, while also having the skill set to determine a fair outcome in a civil dispute. Criminal law has the added responsibilities of setting bail, issuing emergency orders of protection from abuse, issuing search warrants, presiding over countywide probable cause hearings and, most importantly, rendering judgment in criminal citation cases. With 14 years of experience as a lawyer, I have argued bail and PFA requirements hundreds of times; as a defense lawyer, I have critiqued a police officer’s request to search homes and determine if the search follows constitutional protections; and, finally, my extensive career has provided me the opportunity to represent clients, give legal advice, and make arguments in a court of law on a daily basis. Years of training, education and on-the-job learning accrued during my career have provided the foundation for becoming a judge with the skills that will best serve our district. CCG: How can a magisterial judge improve the judicial process at this level, and what improvements would you attempt to employ? McClain: We’ve had three judges temporarily fill this vacant spot over the past two years; therefore, the easiest change I can make is by having a consistent presence by being a full-time, available judge. While there is no “one size fits all” sense of justice, there needs to be more consistency with regards to similar cases having similar outcomes. For example, I will make better use of diversionary programs such as the youthful offender program, veterans court and youth aid panels for first time offenders, when appropriate. However, if a person is not eligible for these diversionary programs, there needs to be meaningful thought behind the decision-making process for sentencing purposes. Additionally, in my conversations with court administrators, there has arisen a need for efficiency in closing cases. Most people pay their fines on time and resolve their case. However, other cases remain open for years if people ignore their responsibilities. These people should not be rewarded for ignoring their debt by the passage of time; rather, by instituting a warrant day twice a year, the timely collection of unpaid fines and a more efficient court docket will become the norm. My personal project is to create a comprehensive community service program for first time offenders that will impart accountability while benefitting our district through service projects. Finally and most importantly, I will continue to earn the trust and respect from citizens in our district each and every day. Dave White has 31 years of service to the community as a State College police officer. He recently retired from the warrant and traffic unit as a master police officer. He was a DARE instructor at Our Lady of Victory Catholic School and the State College Area School District. He has a master’s degree in public administration from Penn State and taught as an adjunct professor in Penn State’s College of Liberal Arts. White resides in Ferguson Township with his wife, Linda, and they have a daughter, Lauren, and son, Michael. White: The best candidate is one with experience and training. I have more than 30 years of district court experience and progressive police training. This cannot be matched by my opponent, who has half my work experience and uses a single part of his legal training in defense of one charged with a crime. Alternatively, my background encompassed working with everyone; a team approach with all county service agencies. I helped witnesses and victims of domestic violence, sexual assault, mental health crisis, civil disputes, child abuse and emergency protection orders. Above all, I am certified and qualified by the state of Pennsylvania to perform the duties of a magistrate and will start on Day 1. I am the most experienced and best-trained candidate to be our district magistrate. White: I will blend my formal education and police background to decide criminal, traffic and warrant matters and all types of assumpsit (civil), tenant/landlord and trespass (tort) cases that come before the court. Everyone will always receive fair and impartial court decisions that are based on competency and, more importantly, common sense. White: My master's degree in public administration gives me the knowledge and skills to more efficiently administer court services to the public. I will be a judge that effectively refers those before the court to the services they need to best resolve their case. Utilizing alternative dispositions, youthful offender programs, community service and focused referral services for those in crisis will improve a judicial process that is administered without great legal expense and respect for all. Another district judge seat in the county is also up for election this year, but is uncontested. 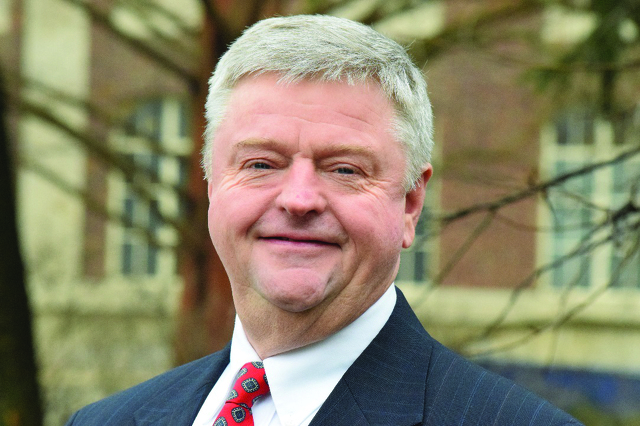 Incumbent Allen Sinclair is unopposed for magisterial district judge for District 49-03-03, which serves Philipsburg, Port Matilda and Snow Shoe boroughs and Snow Shoe, Burnside, Huston, Rush, Taylor and Worth townships.